Beginning students often ask for instructions on the “right” way to breathe. Alas, there’s no single answer to this question, since the optimal breathing pattern in each moment depends on the circumstances we face. When we’re running a marathon, one breathing pattern will be most efficient. When we’re defending ourselves from danger, another way of breathing will be optimal. And when we’re lying on the beach with no cares in the world, the natural breath will find a completely different pattern to support the moment. 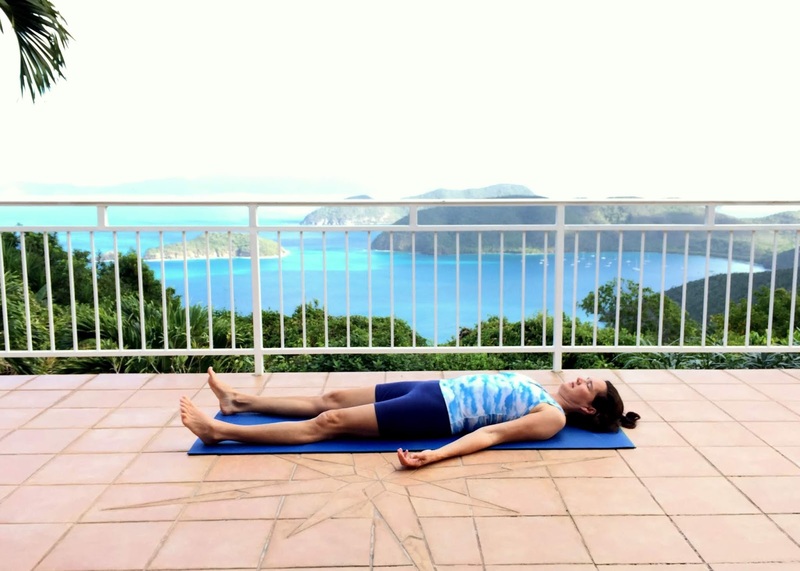 Much of yoga focuses on relaxation, though, and so the discipline often emphasizes breathing patterns that accompany calm and tranquil states of being. When you’ve settled your body and breath into a restful state, look for the following breathing patterns that are hallmarks of relaxation and wellbeing. The belly moves to the tune of the breath. When we are at ease, the belly is soft enough to allow the diaphragm to displace the contents of the abdomen as we breathe in and out. As we inhale, the dome-like diaphragm descends toward the abdomen, inviting the belly to gently swell. As we exhale, the diaphragm releases back toward the heart, enabling the belly to release toward the spine. Don’t confuse this action with tensing and releasing the abdominal muscles, though. The rise and fall of the belly results from the action of breathing, and the belly muscles remain quiet and unrestricted. The upper body remains relatively quiet. Although the ribs and chest do open and release with the inhalation and exhalation, in a resting body the muscles of the upper chest remain soft and unstrained. The real work occurs deeper in the ribcage. 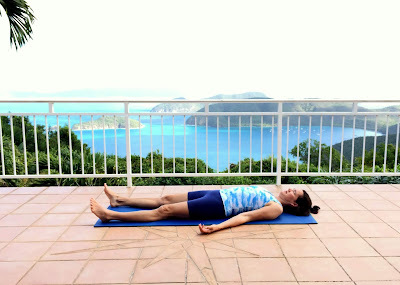 To promote this breathing pattern, consciously relax the jaw, throat, neck and shoulders, and envision the breath sweeping into the deepest parts of the lungs as you breathe in and out. The breath is smooth, soft and rhythmic. Although some breaths may be deeper or faster than others, in a quiet body the rhythm of the inhalation and exhalation feels like a lullaby - smooth, soft, rhythmic, and uncluttered by jerks and jags. Consciously relaxing into this wavelike, oceanic quality of the breath deepens our sense of peace and ease even more. The exhalation lengthens. When we’re stressed or threatened, our exhalations grow short and choppy. When we’re relaxed, the exhalations extend so completely that they are often longer than the inhalations. Some yogis even teach that in a body truly at ease, each exhalation will be twice as long as the inhalation. To facilitate this pattern, when you reach the end of your exhalation consider whether you might extend the breath by just another second. A short pause develops at the end of each exhalation. In our most relaxed states, the end of each exhalation is punctuated by a short pause that leaves the body completely at rest. Lingering in this sweet spot where the body is neither swelled or settled by the breath can be deeply satisfying and can evoke feelings of profound quiet and stillness within. The whole body breathes. In a being that has been softened by ease and well-being, the whole body participates in the breathing process. Consider a sleeping baby. When he breathes, the belly swells and releases, the hips rock, the shoulders bob, and the spine gently undulates to the tune of the breath. This turns each breath into a soothing melody that further calms and quiets every cell within.